Have talent? Sing, dance, comedy ... Ready to show it off? 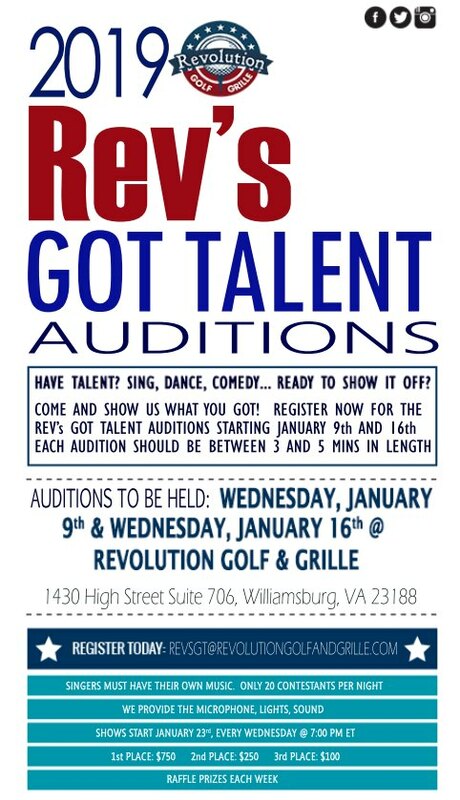 Register now for the Rev's Got Talent Auditions. Auditions start January 9th and 16th. Each audition should be between 3 and 5 minutes in length. Show starts January 23rd at 7:00 pm ET. Eight weeks of eliminations. Finale on 13th. Pre-register your talent. Sign-up here! Wednesday, January 9th and Wednesday, 16th. Audition times and additional information provided following sign-up. Show starts January 23rd at 7:00 pm ET. We provide the microphone, light, sound and audience.